Powers: He is undead, and thus immortal. He also possesses superhuman strength and can create other undead members with a simple bite. 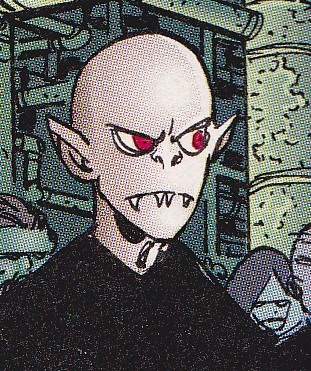 Nosferatu was one of the legions of the Undead that was summoned to Chicago by Abner Cadaver when the Vicious Circle sought to prolong the life of a physically unstable CyberFace. Eventually, they were all sent back by Abner Cadaver who had suctioned a fraction of their power source and applied it to CyberFace.